RIDGEFIELD — It is no secret that July 4th is considered by many to be the greatest day of the year in Ridgefield. Some might say it is because of the two-hour long parade. Others will say it is because of the pie-eating contest. Still, more will say it is because of the free fireworks show at the port. But if you ask somebody who has been around long enough, they can tell you that Independence Day in Ridgefield is what it is because of the incredible sense of community within the town. 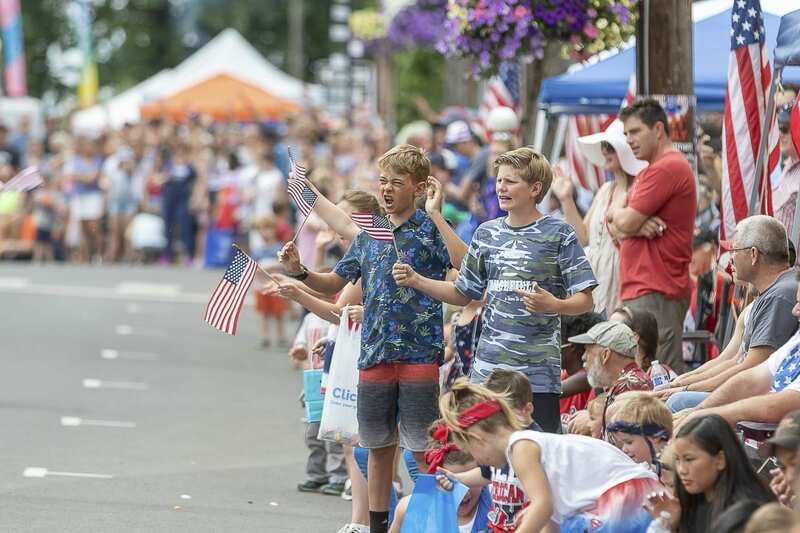 The annual Ridgefield Fourth of July Parade drew spectators in masses well into the thousands, who swarmed Downtown Ridgefield when the floats began making their way down Main Ave. and Pioneer St. The theme of this year’s parade, “Over There, Over There,” was chosen to celebrate both the 100-year anniversary of World War I and the foundation of the American Legion. Lasting for nearly two hours, the parade showcased displays ranging from an enormous collection of Ford Model As to El Rancho Viejo Mexican restaurant’s dancing horses. Even the 501st Legion, an organization whose members wear film-accurate stormtrooper costumes, made an appearance. 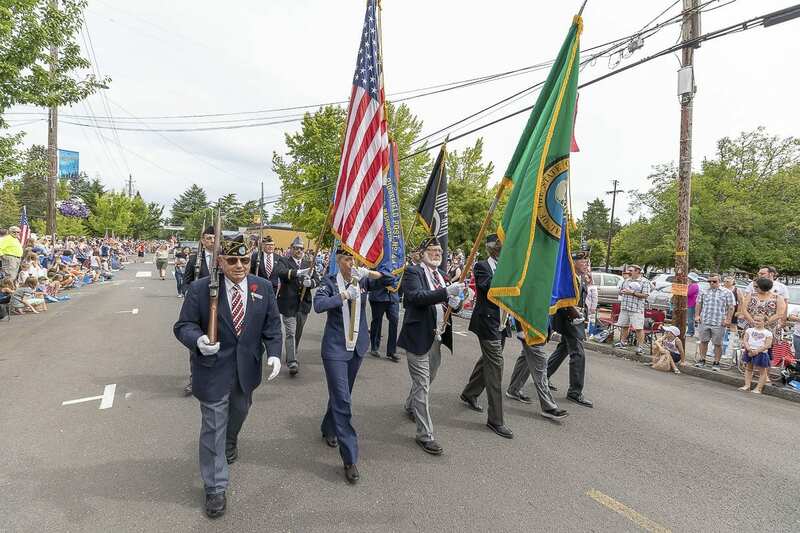 After countless parade floats for law enforcement, area businesses, political campaigns, bands, little league baseball teams, churches, and classic car owners had made their way to the end of the parade, the festivities continued at the Ridgefield Refuge Overlook Park. Tony Starlight, the well-known singer and entertainer in the Pacific Northwest, led the crowd in singing the classics of Frank Sinatra, Billy Joel, Elton John, and other musicians, while the children made their way to the kids zone, which featured bounce houses, a reptile display, and a magic show. Magician and comedian Joshua Bichler, also known as Twisty the Great, impressed the young audiences with his magic tricks and humor, and even made some children levitate in front of their friends before ending his performance by crawling into a giant balloon. 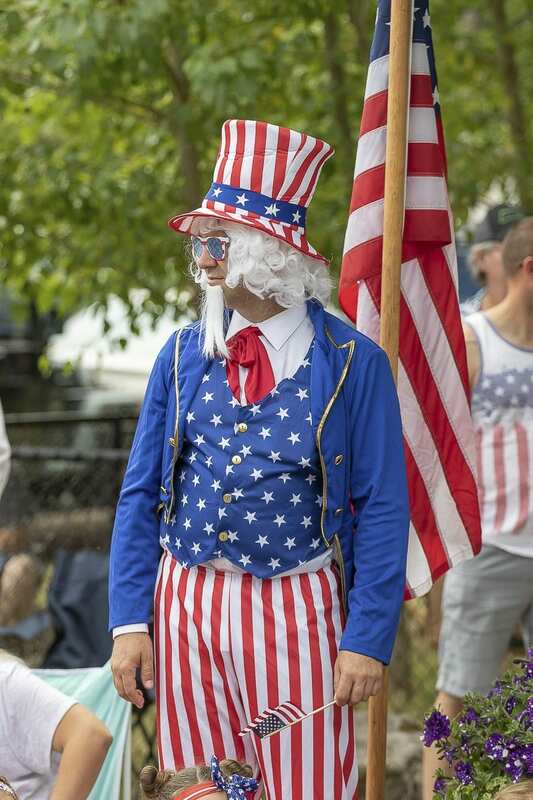 Of course, there are those in Ridgefield who can’t help but keep coming back for the Fourth of July celebration every year. One such person is Bob Hyatt, a Ridgefield resident since 1961 and avid member of the Lions Club. Hyatt, who has been a member of the organization for 49 years, used to work the Lions’ food tent at the festival. 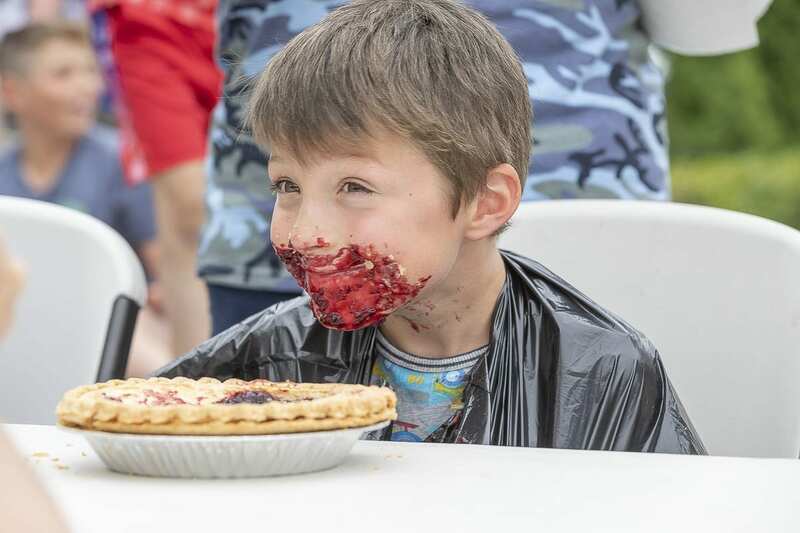 After Tony Starlight’s performance on the main stage, the annual pie-eating contest took place in the park at 2:30 p.m. Children from all over Clark County competed for prizes donated by area businesses, including restaurant gift cards and vendor booth vouchers. The rules of the competition are simple enough; each contestant is given a free marionberry pie, which must be eaten without the use of hands. Whoever eats the most pie by weight is declared the winner. Crowds slowly thinned out as the pie-eating contest wrapped up, but droves of area residents returned to Downtown Ridgefield to watch the fireworks at 10:15 p.m.. Established by a partnership between the Port of Ridgefield and the city of Ridgefield, the firework show is put on every year in Ridgefield to entertain the citizens and reduce the risk of fire posed by individual fireworks.